(CNN) - The assailant in the Toronto shooting rampage, which left two dead and injured 13, has been identified as Faisal Hussain, who lived in the city. Monica Hudon of Ontario's Special Investigations Unit said authorities spoke with the family of Hussain, 29, who died during the incident. 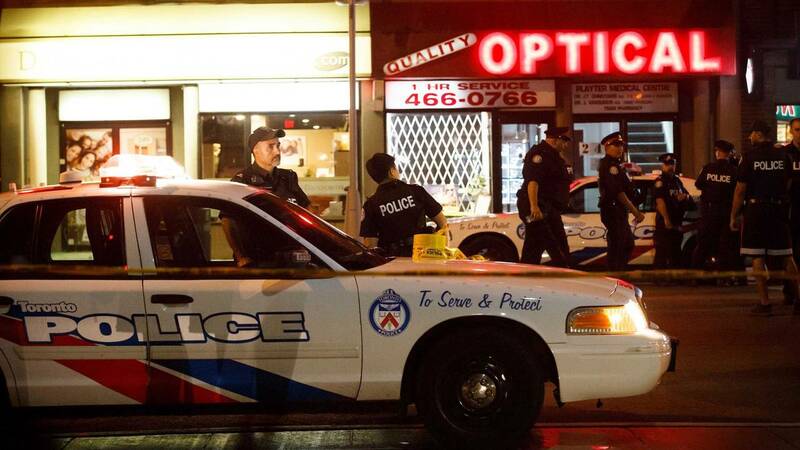 The two killed -- an unidentified 10-year-old girl and Reese Fallon, 18, of Toronto -- were among 15 people shot Sunday night in the city's popular Greektown neighborhood, police Chief Mark Saunders said. The youngest injured person is 17, the eldest 59. Saunders said police are investigating "every possible motive, including terrorism." Police said Monday evening they were executing a search warrant at an apartment. Hussain's family expressed condolences to relatives of the victims and said it was "utterly devastated" by the loss of life. "Our son had severe mental health challenges, struggling with psychosis and depression his entire life. The interventions of professionals were unsuccessful," the family said in a statement. "Medications and therapy were unable to treat him. While we did our best to seek help for him throughout his life of struggle and pain, we could never imagine that this would be his devastating and destructive end." Authorities would not say whether Hussain was killed by police or by a self-inflicted gunshot wound. A postmortem examination is set for Tuesday. Van Eek described the suspect as a white male, wearing black clothing.